Whenever people asked him, Eric Cash used to have a dozen answers: artist, actor, screenwriter....But now he's 35 years old and he's still living downtown, still in the restaurant business, working night shifts and serving the people he always wanted to be. What does Eric do? He manages. Not like Ike Marcus. Ike Marcus had what the Lower East Side wanted: he was young, good-looking, people liked him. Ask him what he did, and he wouldn't say "tend bar". He was going places, and he was going to live forever - until two street kids stepped up to him and Eric on Eldridge Street one night and pulled a gun. Ike's last words were "Not tonight, my man". At least, that's Eric's version. "Lush Life" is a fine, possibly great novel about a homicide investigation, set in the lower east side of Manhattan. The story is told, in the third person, from the point of view of a NYPD detective. I live in Manhattan and work as an attorney in law enforcement. I talk to and work with NYPD officers and detectives every day. Because I don't actually go out on rides with cops, I cannot tell you if the novel is accurate as to what it feels like to work as a NYPD detective, but this book is totally accurate, to the smallest detail, of what it looks like. The writing is first rate, and could be fairly categorized as "literary fiction" as well as crime fiction. And the narrator is excellent. His accent is pitch perfect, and he reads with sympathy and understanding. If you are interested in the crime genre, literary fiction, police officers, and especially, if you, like me, are completely in love with New York City, you will love this book. I read the review in the Times, which described the book as having terrific dialog. It seemed to me that such a book would be particularly good to listen to. For those of you that are withdrawing from The Wire -- this book will do it. It is gritty and realistic, and the narration is wonderful. This audiobook is the rare intersection of a great New York story and a contemporary gritty crime novel. Although the story would easily be successful as a plot-driven police procedural, it is lifted into a special place by its focus on characters. Those characters were given greater life by Canavale's reading. Even Canavale's slight mispronunciations are done in a true New York way (witness the way "trompe l'oeil" comes through. This is my first Price novel, and I intend to read many more. For me, this book was all about the narration. Bobby Cannavale really brings this book to life and gives the story a true New York feel (as a New Yorker I appreciate the care and authenticity of his accents, inflections, tone, and style). The book was enjoyable enough I guess, but I didn't feel a great sense of drama or tension as it unfolded-- maybe because we (the reader) knows who the culprit is from the beginning. I didn't care a great deal about any of the characters. To me it felt mostly like a great portrait of New York and the Lower East Side, but not really a riveting mystery or crime drama. 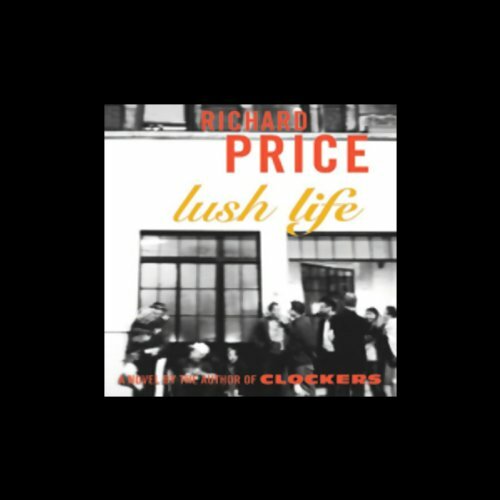 From Sea of Love to Clockers to Lush Life, Richard Price is a genius at helping us see the extraordinary world in which these people live. I am a forensic psychologist who evaluates the defendants, works with the lawyers, and sees in therapy the cops who appear in Price's novels. I listen, and I know these people. I know their conflicts, their burdens, their passions, all the complicated influences that propel them to crash into each other. I almost lost him in the first interrogation of Eric Cash, which went on way too long, but if you hang in, you get completely caught up. I had never heard of Bobby Cannavale before, but his reading is so thrilling that he bears a little bit of comparison to the giant of this field, the sorely missed Frank Muller. At the beginning I feared this might go on too long; at the end I wanted it to go on for days and days. Terrific book, gripping, well read. This was quite a good book, offering a tremendous sense of place (Lower East Side) and time (c. 2003). The narration was great, the characters well developed. Although it took a little patience to get into the book, it was well worth the wait. Listen to this one. You won't be disappointed. This is such a great book! I never read crime novels, but saw that the NY Times gave this a "Bear in Mind" review, which means they liked it. The story has such depth in its descriptions of the people - all the people that are involved with the crime - the family, the victims, and the police who try their best to solve this. Although there is tension to the plot, that is not really the whole point - this author is creating a feel for the characters and the setting. The reading is excellent, and I found this to be a very enjoyable and engaging book - something I wanted to listen to as much as I could, as fast as I could! Kirk from Pawleys Island nailed it! Bobby Cannavale has excelled at his craft in the narration of another Price work of notable acclaim. The plot is interesting and informative without being overly "crime-novel" mundane. Price has captured a realistic image of the NYC tempo in the rapid fire switching of the story characters and scenes. Cannavale performs the work with masterful application of Lower East side accent, street-talk and colorful emphasis of the characters personalities. Highly recommended for those who want a view into a slice of 21st century NYC culture and are not intimidated by it. Note to reviewers who have expressed some level of disappointment in the work: This is not a love story. I found this audiobook difficult to follow at first, but then got hooked on the plot, the well-developed characters, and the shifting back and forth between the various characters' points of view. I don't normally listen to "crime novels" since the characters are too often 2 dimensional, but this is more than "just" a crime novel. recommended. This isn't that type of book I generally read, infact it was only that I purchased it as an audiobook, that I purchased it at all. If nothing else, Price is a master of dialog and superb at capturing bringing characters to life in this manner. So while the book doesn't offer a lot in the way of story line, and is unlikely to change your life, it is damn entertaining and this is chiefly because of the superb narration by Bobby Cannavale. Try it - you'll like it.